Some downtown exploring took them to the Old Post Office Plaza for unique backdrops for the photos. 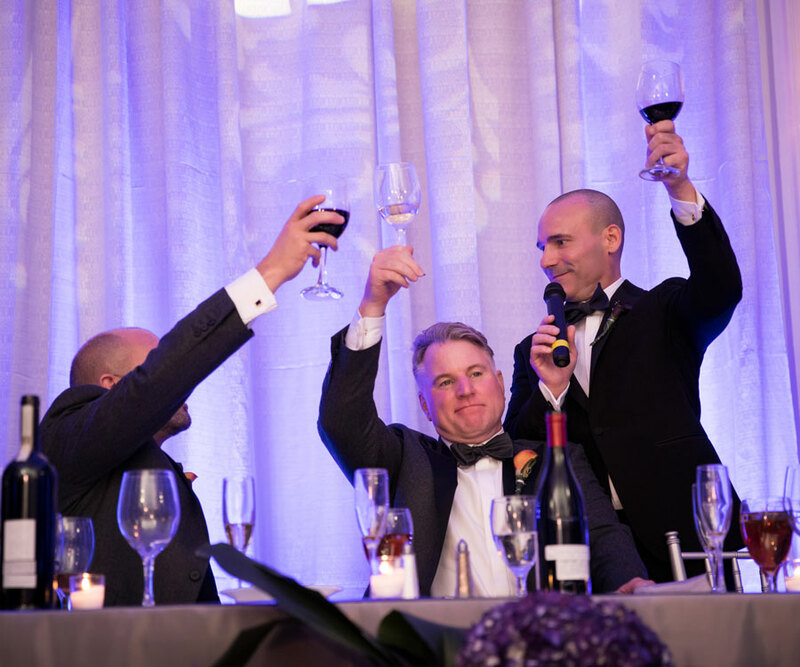 Dr. Geoff Stanczyk and Tony Hawn’s wedding was truly an international affair, bringing together elements of Springfield, St. Louis, New York City and Poland. 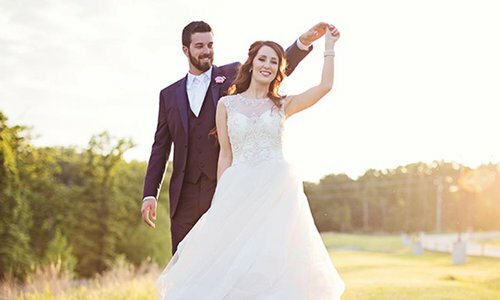 Each of these places is special to the couple. 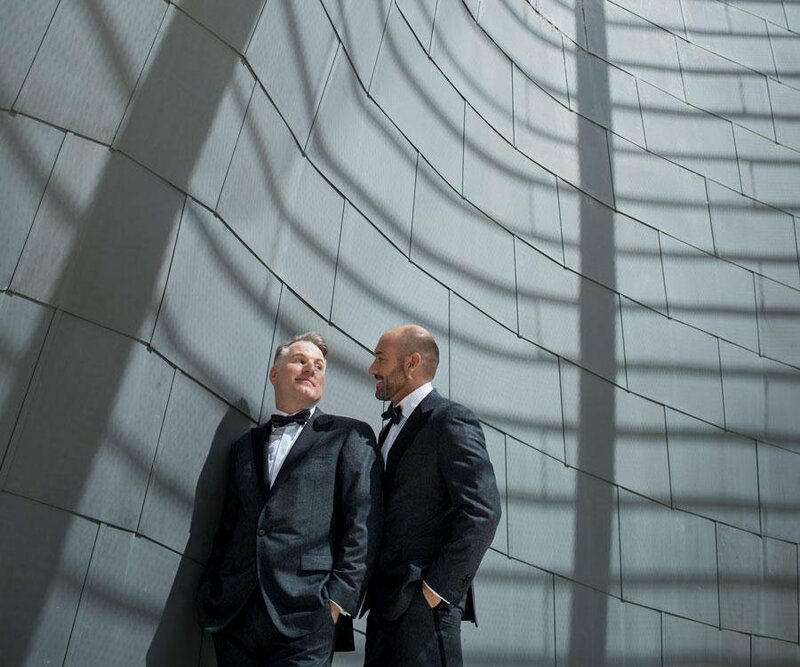 Geoff and Tony met in St. Louis, currently live in Springfield, and were visiting friends in New York City when they started talking about their wedding venue. 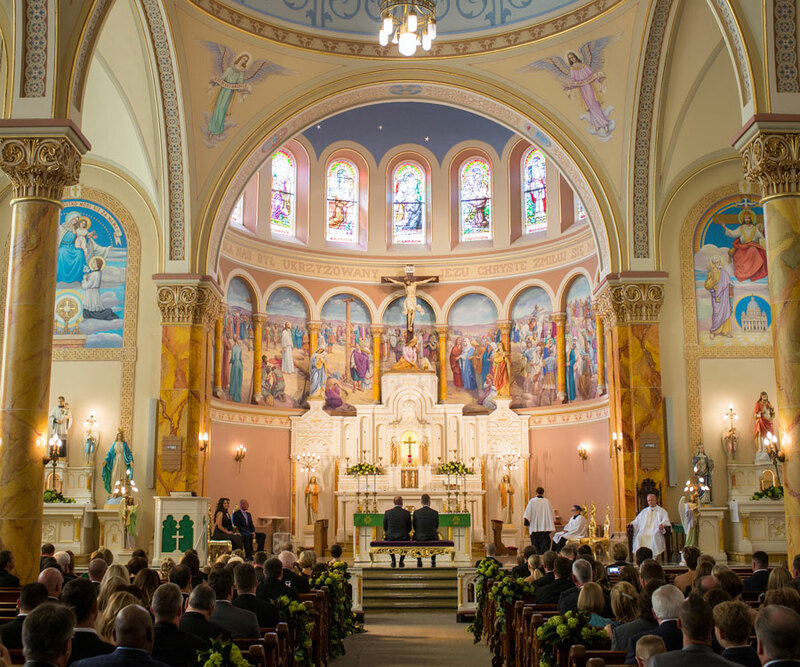 A friend of theirs who is a priest recommended they talk to St. Stanislaus Kostka Parish in St. Louis, and after meeting with the priest and touring the church, they knew it was exactly where they wanted to be married. The church was built in 1880 and still holds masses in Polish. 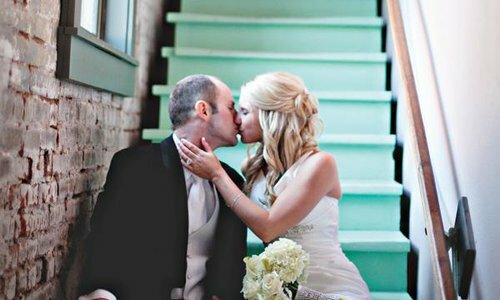 This history was important to the couple because Geoff has Polish heritage and grew up in a Catholic home. 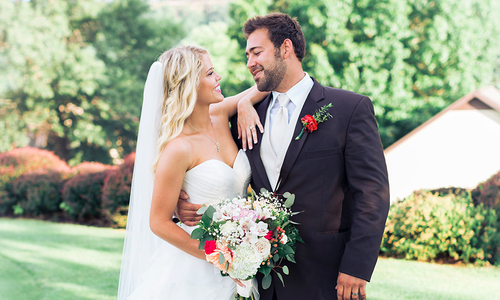 Because the church itself is very formal and traditional, the ceremony naturally followed suit. 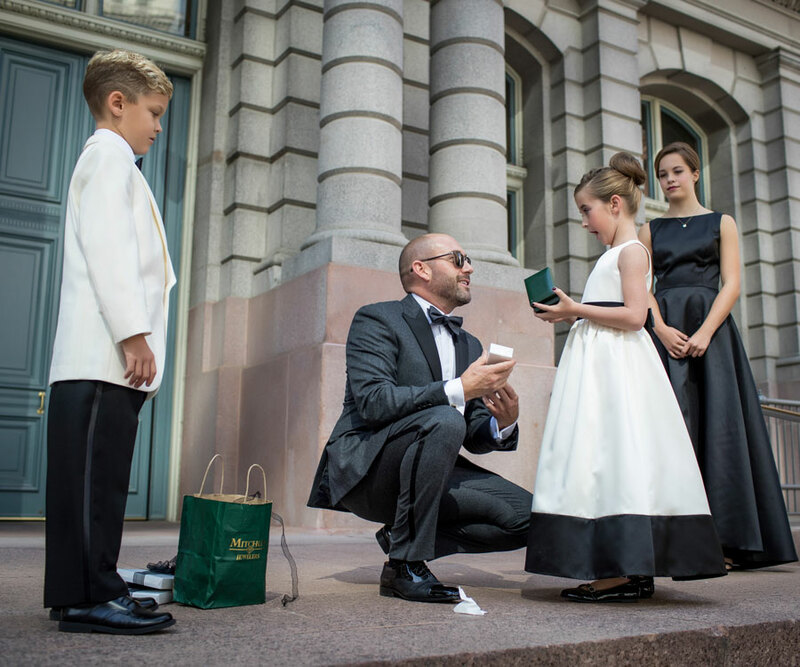 Guests wore tuxedos and floor-length gowns to attend the wedding mass. A string quartet, organist and soloist provided the ceremony music that helped honor special guests and the wedding party. Close friends of the couple also provided the readings, and Reverend Mark Bozek performed the marriage ceremony. 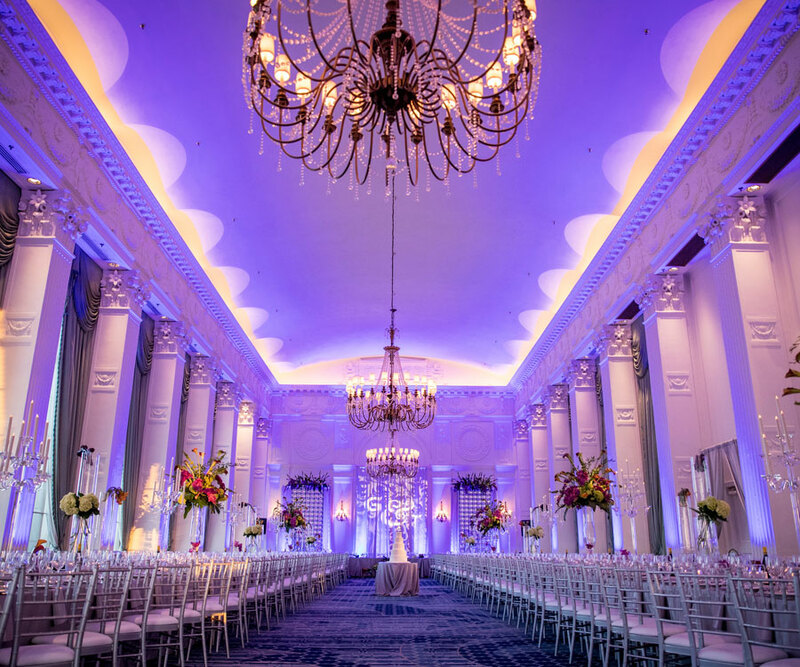 After the ceremony, the party traveled to the Crystal Ballroom at the Marriott St. Louis Grand hotel for the reception. Pat Phillips with The Flower Merchant helped design the space and even replaced some chandeliers with ones he custom made for the couple. 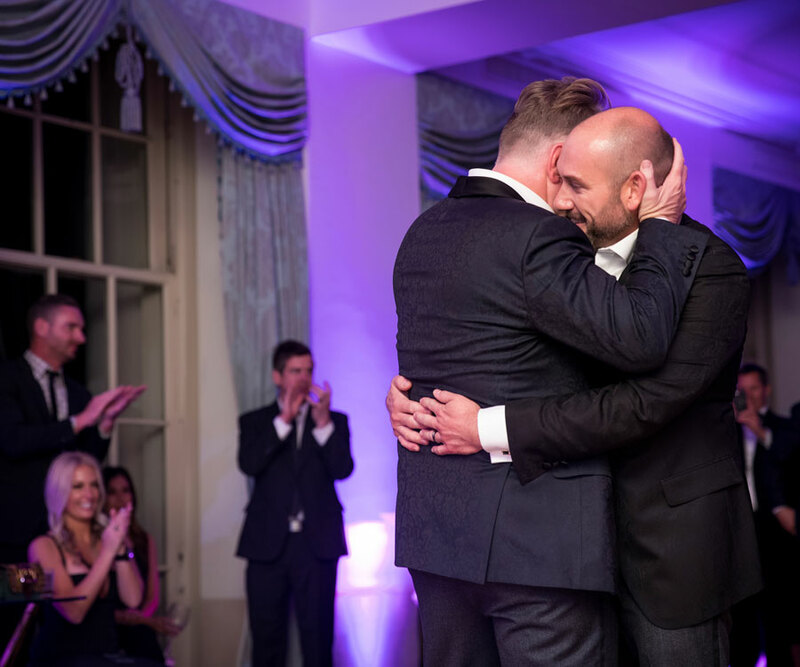 Geoff and Tony also had most of the rental furniture, including couches, bars and candelabra, delivered from Luxe Event Rentals in New York City. Tony says they chose the Crystal Ballroom because of its historic design, and the floor-to-ceiling windows that span two stories to provide views of downtown St. Louis didn’t hurt, either. After 15 years of being together, Geoff and Tony started their new chapter of marriage surrounded by friends and family from all over. 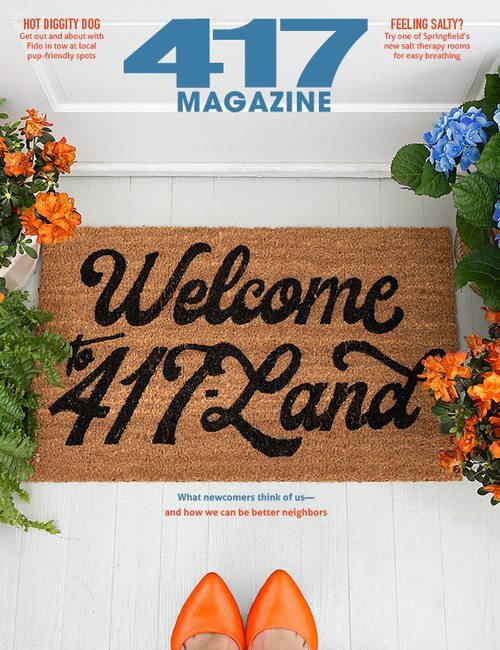 Springfield friends were happy to travel to celebrate with them and understood St. Louis was the perfect place. “We really wanted to write our next chapter in our life in the city where we met,” Tony says. 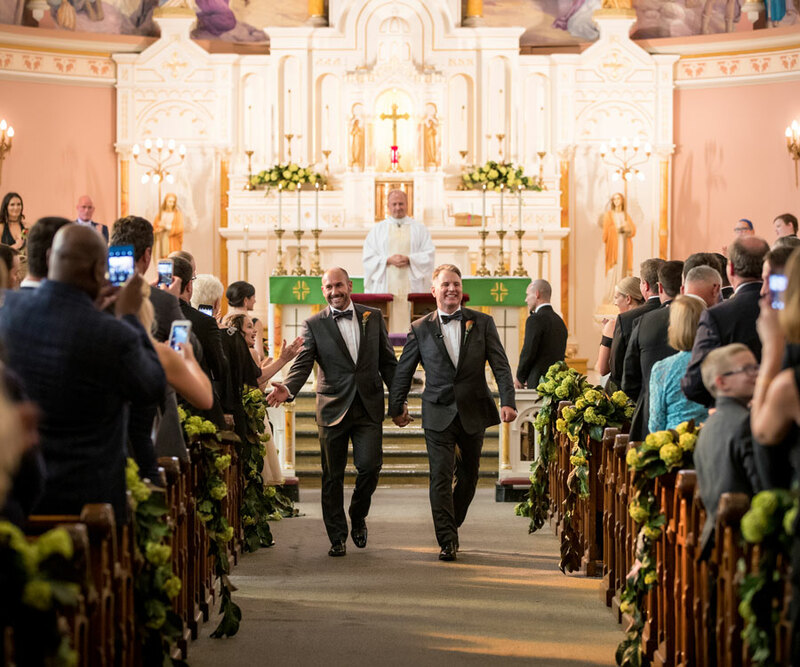 Hand in hand: Dr. Geoff Stanczyk and Tony Hawn walk down the aisle as newlyweds after being together for 15 years. Tony and Geoff decided to get ready together rather than following tradition. 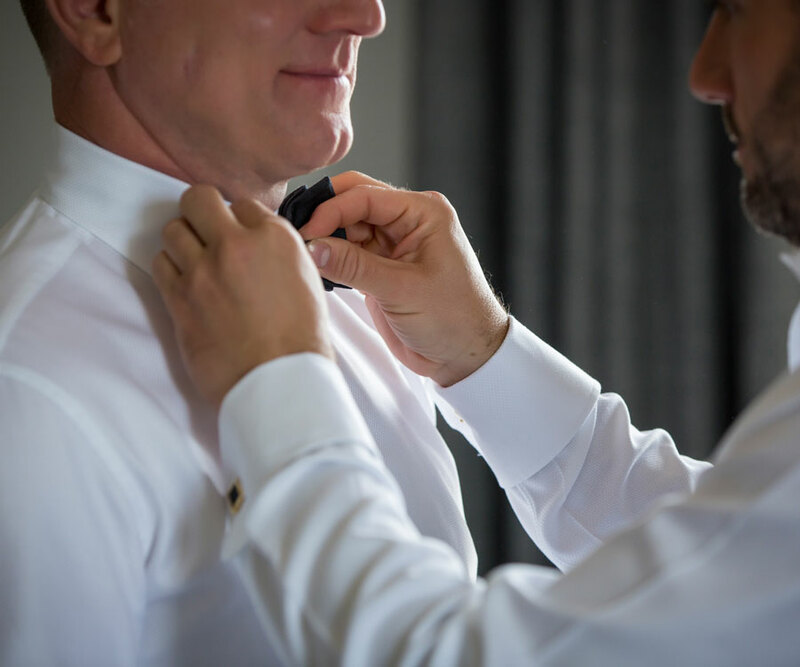 Tony told Geoff he was his best friend, and “I cannot imagine getting ready for this day without my best friend getting ready next to me." 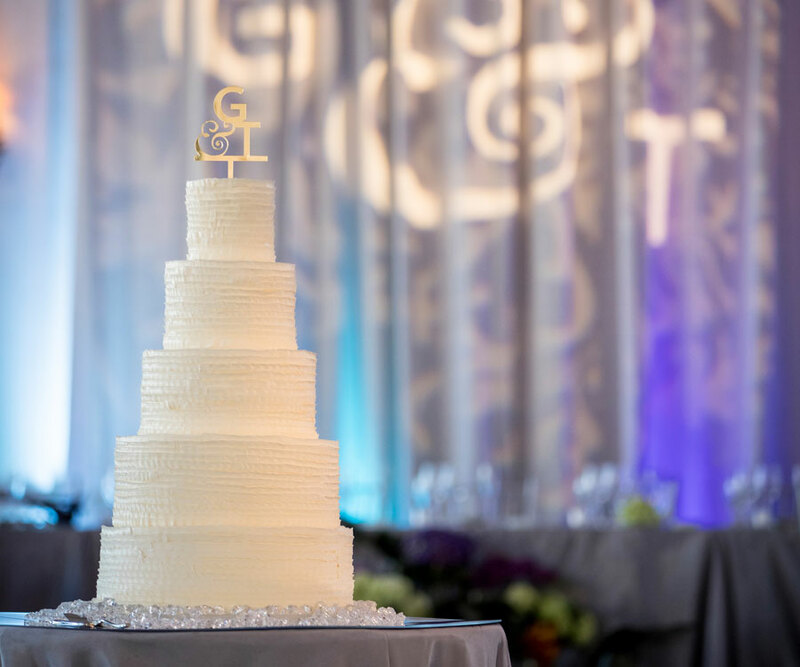 Guests first saw the custom G&T logo in the wedding invitations, and the design was carried through the event as a cake topper, projected on the backdrop and on custom rugs in front of the private elevators. 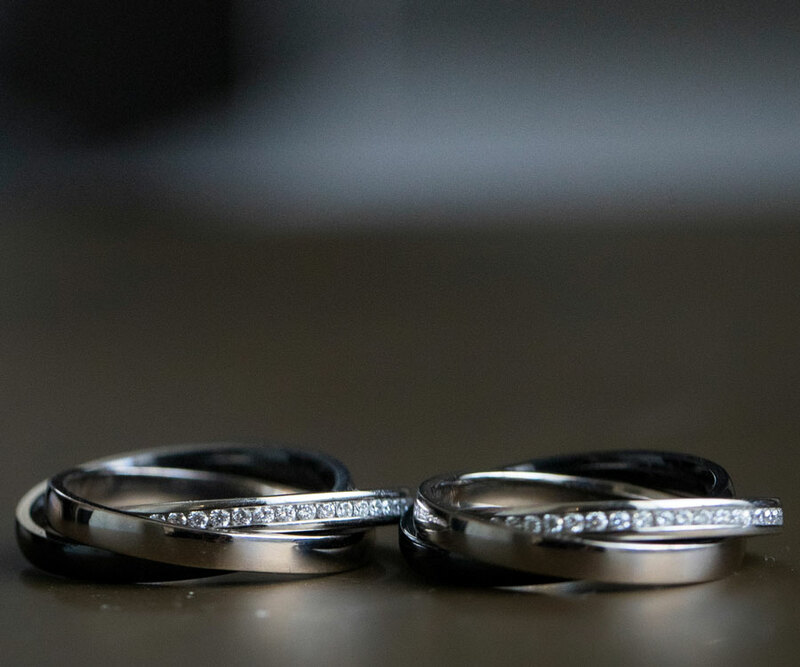 The couple worked with Randy Mitchum at Mitchum Jewelers to design custom rings. After traveling to stores all over the country, Tony says they are happy they chose a local jeweler to step out of the box and design something completely for them. 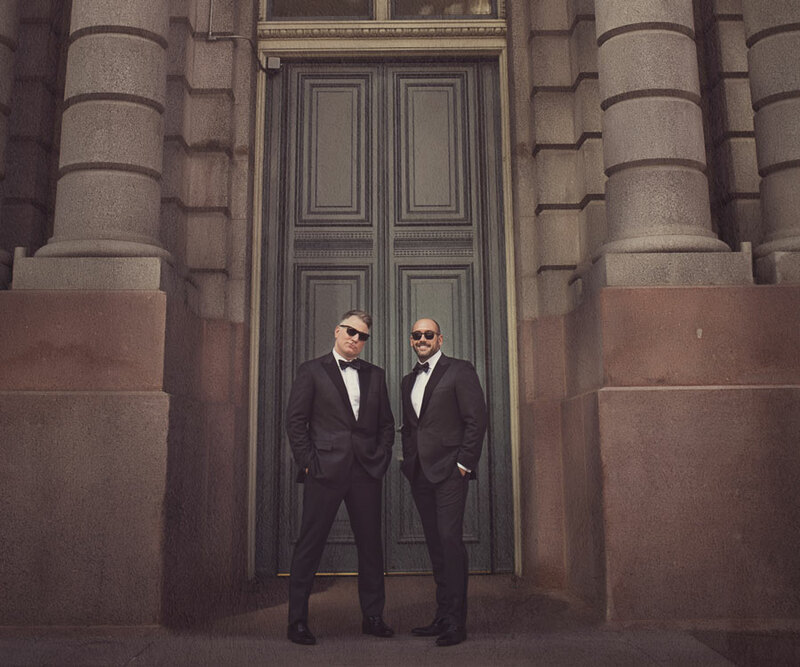 Tony and Geoff tied the knot after being engaged for one year. Pat Phillips with The Flower Merchant worked the couple’s color scheme into the reception centerpieces. Tony and Geoff wanted long tables that were connected so everyone could sit together. The 220 guests dined on food catered by the hotel and were able to choose from meat, fish and vegan entrees. The couple took photos outside of the church before the ceremony. Family Tradition: It was important to Geoff to get married in a Catholic Church since he grew up in the faith. Geoff presented custom cultured pearl necklaces and earrings made by Mitchum Jewelers to the flower girl and female attendants. Dr. Alan Zonno was the best man and one of five friends who toasted the couple at the reception. The reception started with a cocktail hour in the lobby of the Crystal Ballroom. 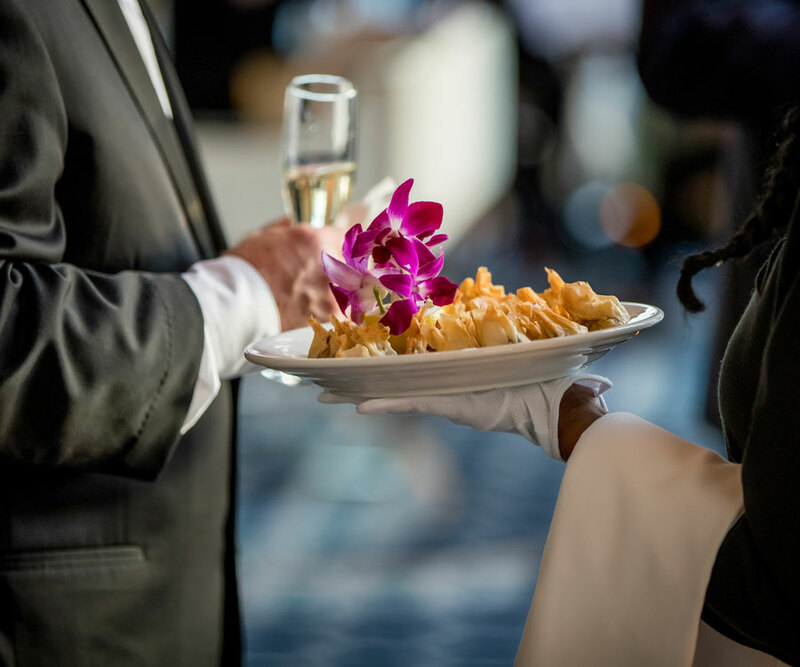 Guests munched on hor d’oeuvres and sipped on Veuve Champagne from the champagne bar all night. Tony and Geoff danced to “I’ll Cover You” from the musical RENT and to “Something New” by Axwell Ingrosso for their first dance. 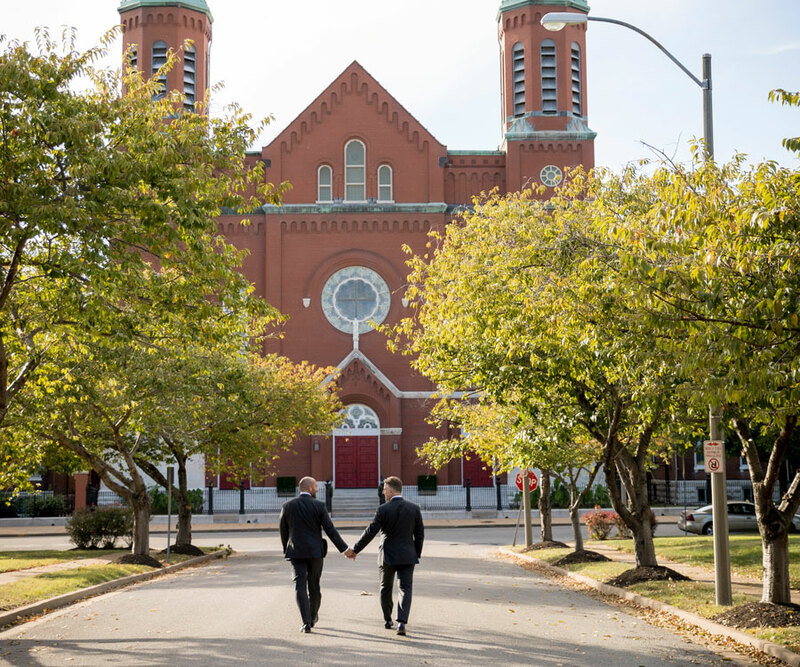 Future So Bright: It was important to Tony and Geoff to be married in downtown St. Louis, the same place they met. These kindergarten sweethearts brought plenty of glitz and glam to their big day.